FACEBOOK CONVO: Guy I've Been Dating for 4-Years Got Married Three Months Ago and I Don't Know - e-NIGERIA! My Lover of 4year is married and I don't know e-NIGERIA! My Lover of 4year is married and I don’t know e-NIGERIA! “A guy I have been dating for 4 years by the name Leonard Ogundaunsi who still as at last week friday collected money from me is married and I didn’t know. He talks in a hurry on phone, doesn’t call back after several missed calls, doesn’t reply his chat on time. 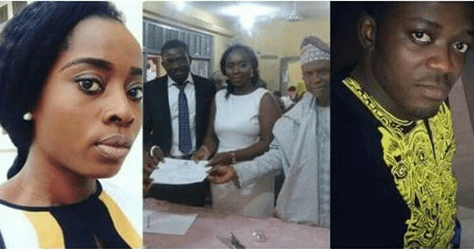 I decided to call his friend and got the shocker of my life, that Leonard has been married for 3 months now.. and we’ve been dating for 4 years now”- Nigerian Lady whose introduction is next month, calls out Fiance for marrying another.